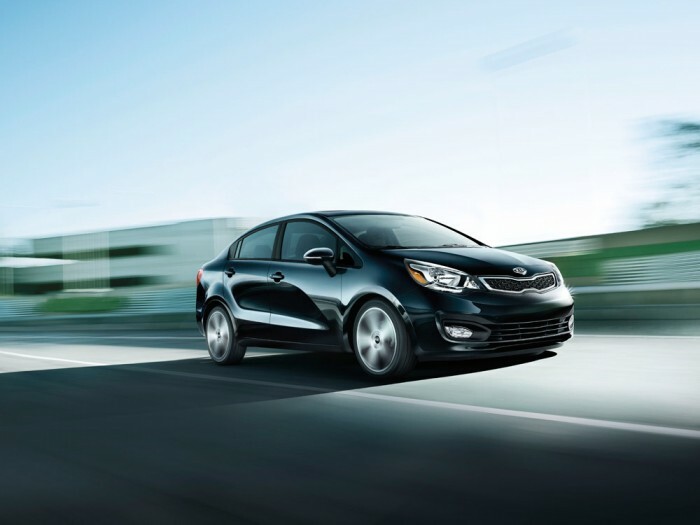 The 2013 Kia Rio is radically improved over previous model years and offers automatic stop-start technology for better fuel economy. 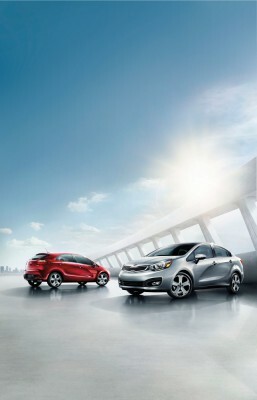 The 2013 Kia Rio features a sculpted look borrowed from the Optima and Sportage. Slanted headlights flank the signature Kia grille above a large air dam. 15-inch wheels support the subcompact body, while stepping up to the SX trim unlocks more stylish 17-inchers. Available color options include Bright Silver, Aurora Black, Clear White, Signal Red, Midnight Sapphire, and a handful of others on the EX trim. Motivating the 2013 Kia Rio is a 1.6-liter four-cylinder engine mated to a standard six-speed manual transmission on the base LX model. A six-speed automatic is available as an option and standard on the other trims. The engine is rated at 138 horsepower and 123 pound-feet of torque, enough to power the SX sedan from zero to 60 mph in 9.4 seconds and smoke the competition by about a one second margin. 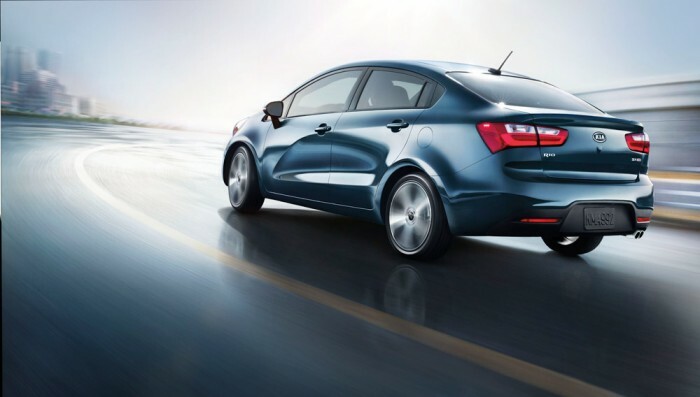 New to the 2013 Kia Rio is an EX Eco package that adds fuel-saving automatic stop-start technology. Fuel economy estimates stand at 28 mpg city/36 mpg highway and 31 mpg combined without it, and 30/36/32 with. The manual is rated at 29/37/32. Tasteful design and good quality materials make the 2013 Kia Rio’s interior one of the best in the subcompact segment. The overall space seems wider than the exterior size would suggest, enough for even tall drivers to find comfort in the cushiony seats. Tilt-and-telescoping wheel, power windows, push button start, and an available leather seat trim make it easy to sit down and feel right at home. Technology includes an active eco system, a trip computer, a rear camera display, and Bluetooth with steering-wheel mounted control buttons. Every version of the 2013 Kia Rio comes standard with four-wheel antilock disc brakes, stability control, front side airbags, and side curtain airbags. It has an Overall Safety Rating of 4 out of 5 stars from the National Highway Traffic Safety Administration, with 4 stars in frontal and rollover crash tests and 5 stars in side crash tests.